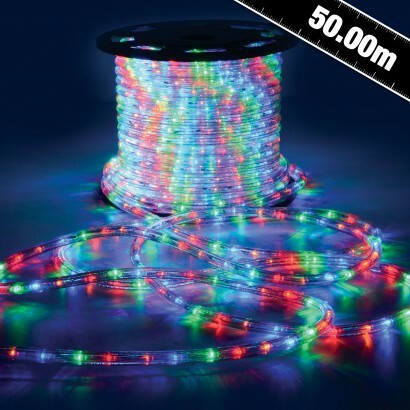 A 50m reel of multi coloured rope light to create colourful light displays in shops, parks, gardens and more. 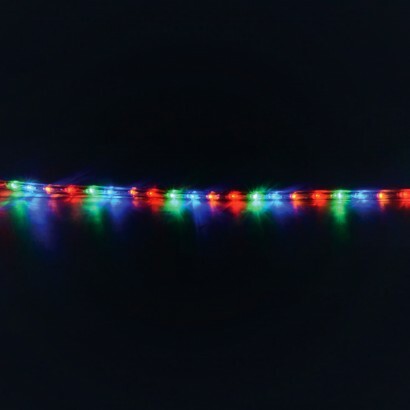 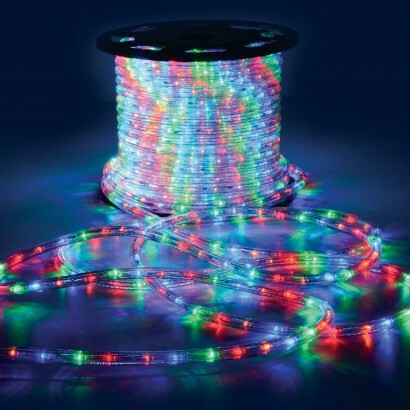 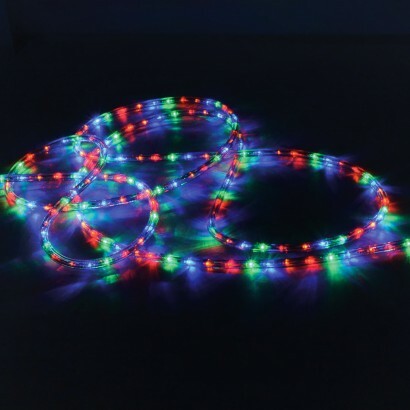 Suitable for professional use only, this extra long reel of multi coloured rope light can be connected with another reel to create a whopping 100m run of colourful lighting! 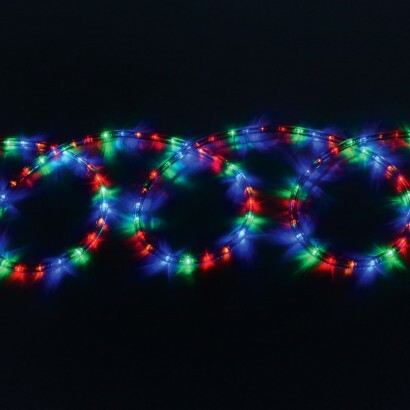 IP44 rated weatherproof for outdoor use, each rope light has 36 LEDs per metre and can be cut to size (2m intervals) so that it fits your displays exactly.